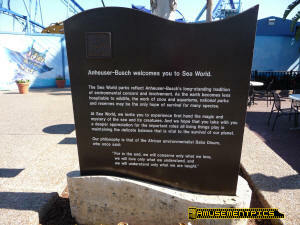 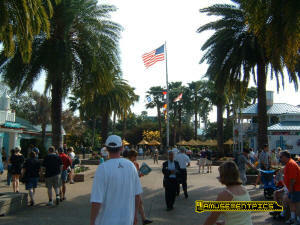 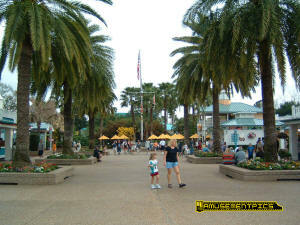 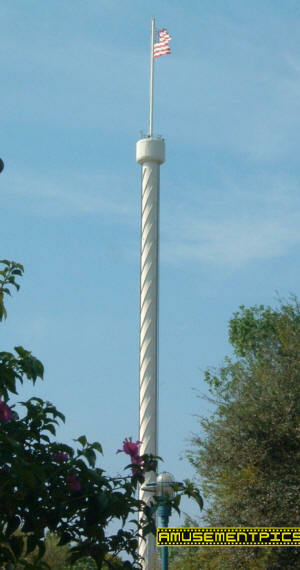 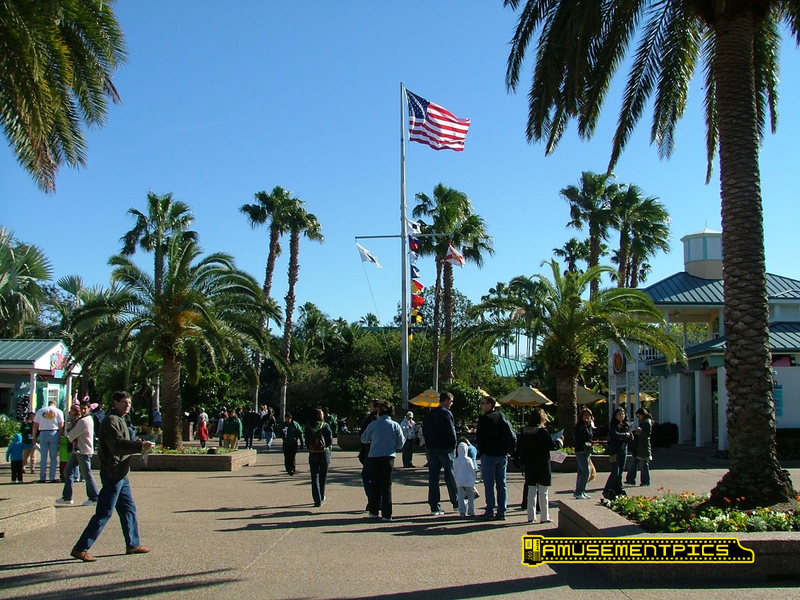 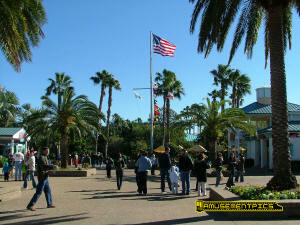 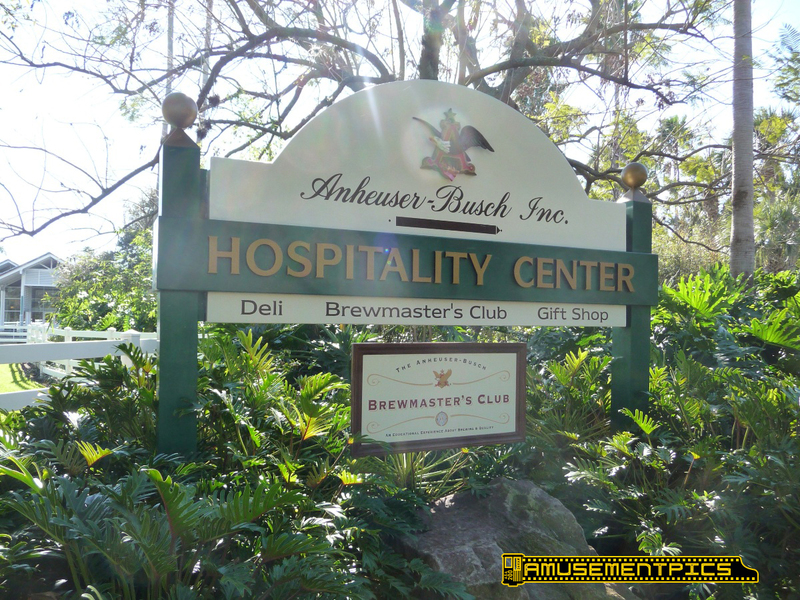 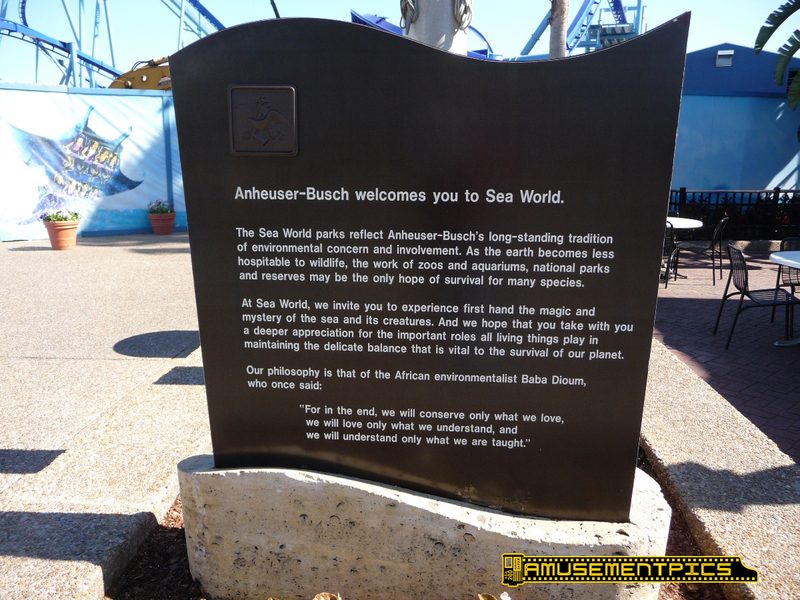 Anheuser Busch was the long time owner of SeaWorld Just behind the flagpole and trees was the Tropical Reef building which was removed for Manta. 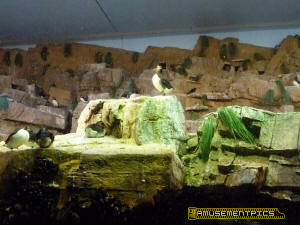 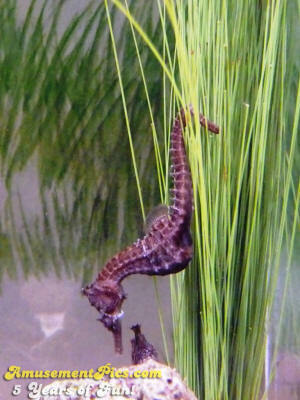 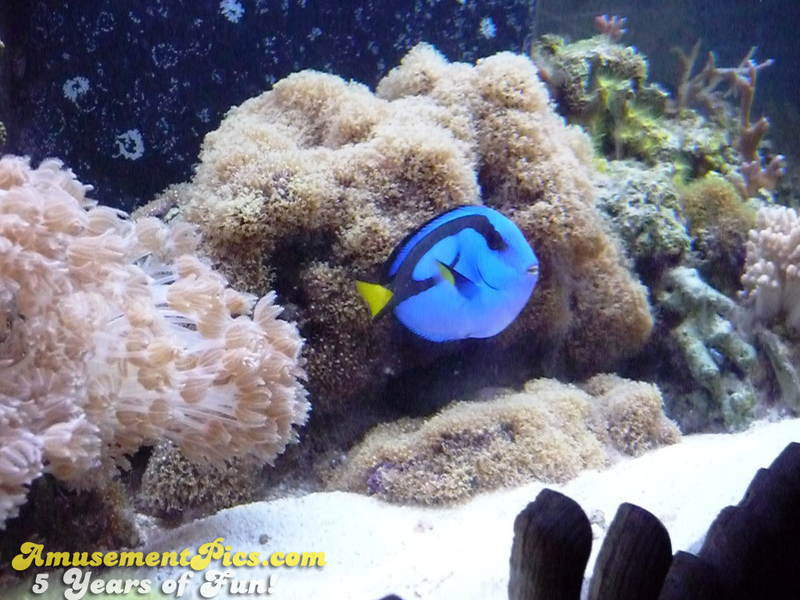 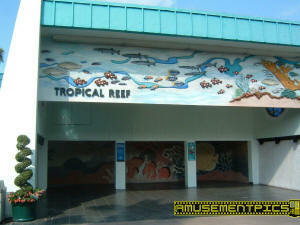 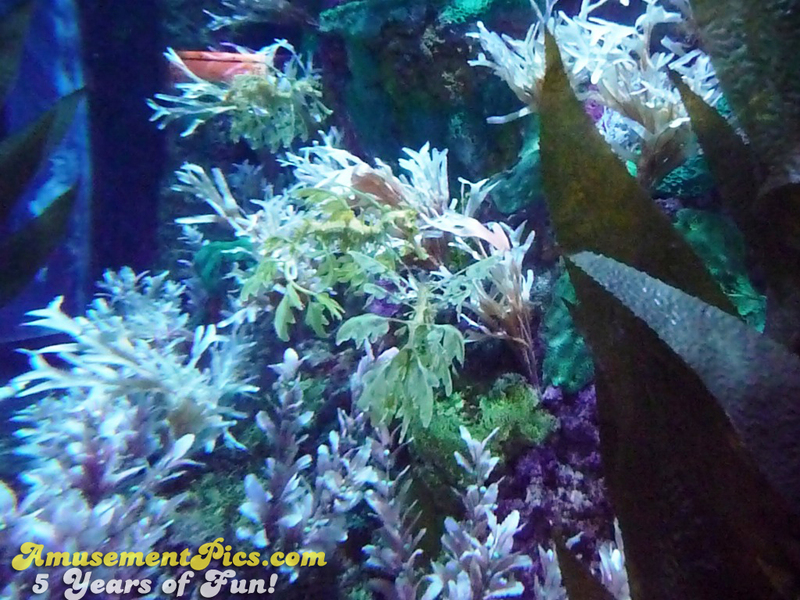 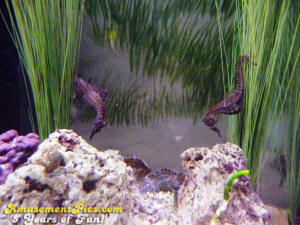 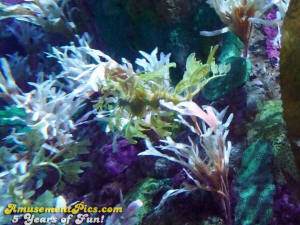 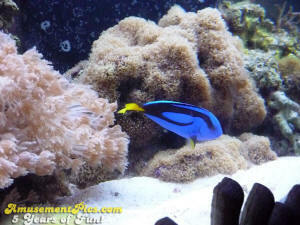 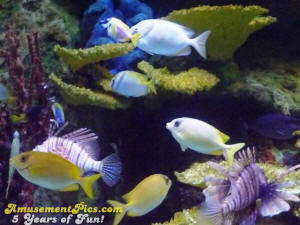 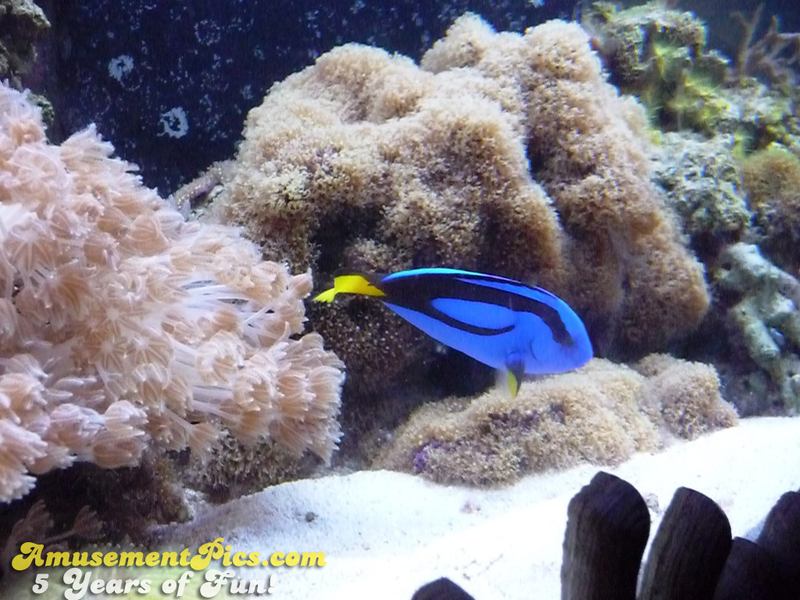 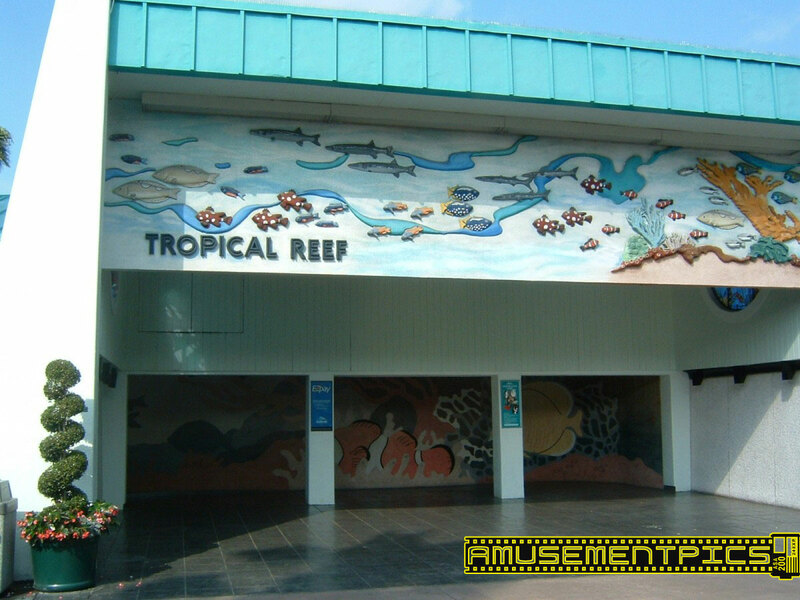 The Tropical Reef's aquariums were simple in comparison to the naturalistic environments of the Manta Aquarium. 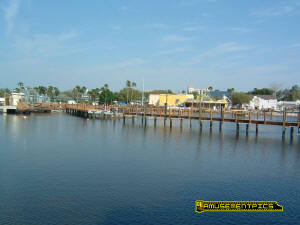 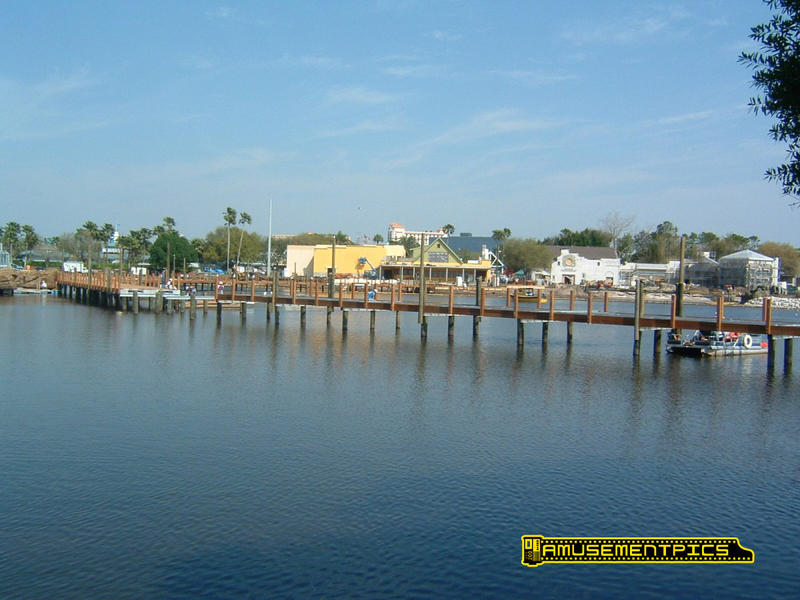 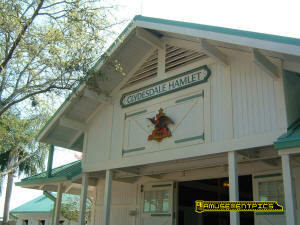 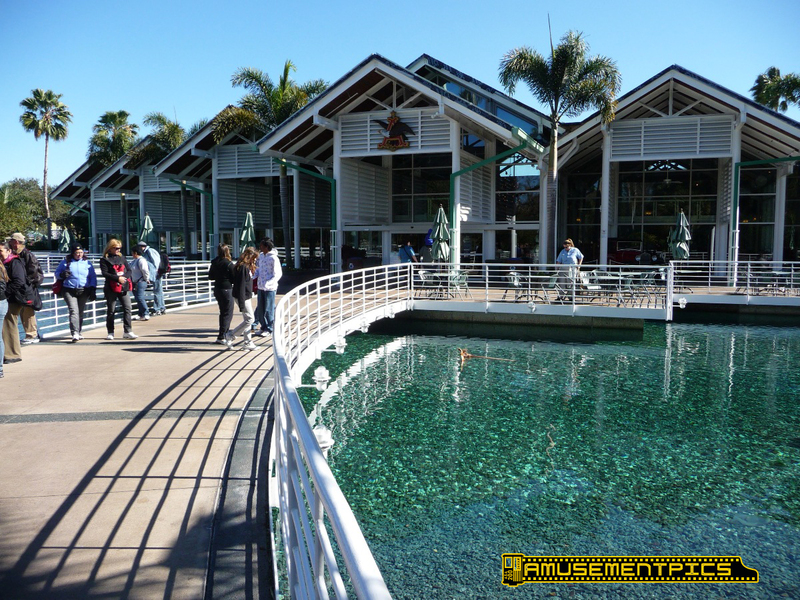 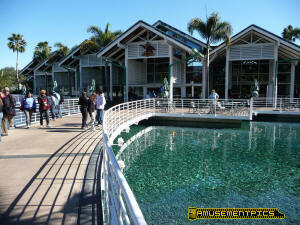 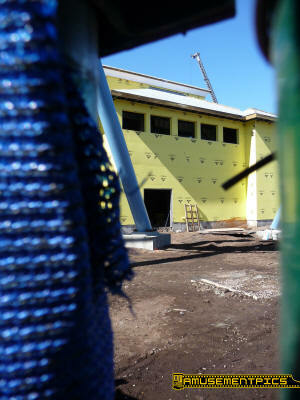 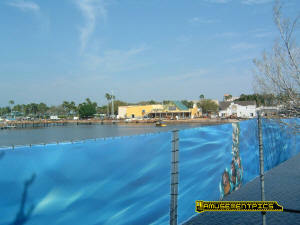 The creation of the Waterfront area of the park changed the look and feel of the park's central hub. 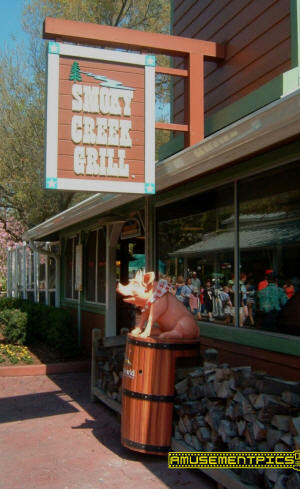 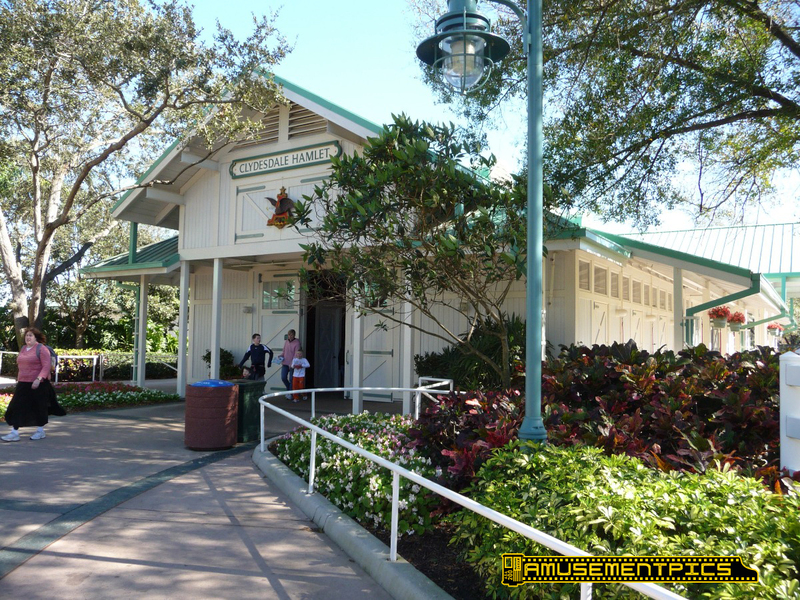 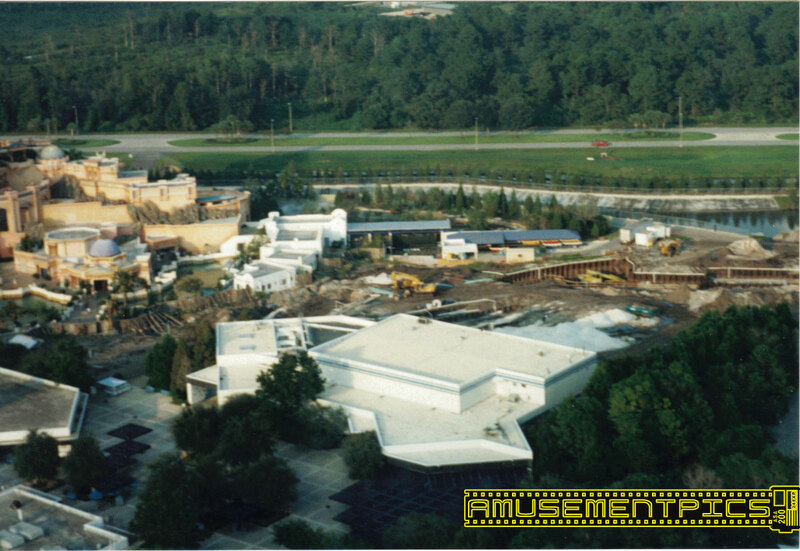 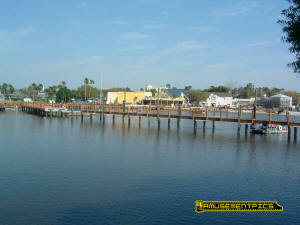 Before Voyagers, Smoky Creek Grill was the park's smokehouse. 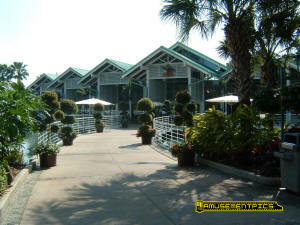 Today it is Seaport Pizza. 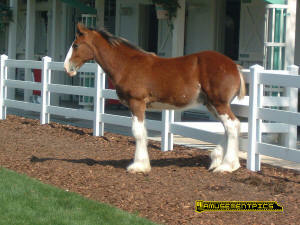 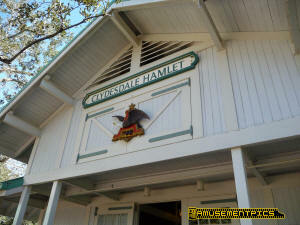 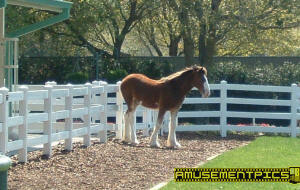 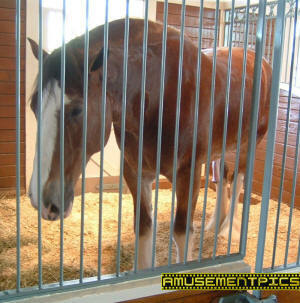 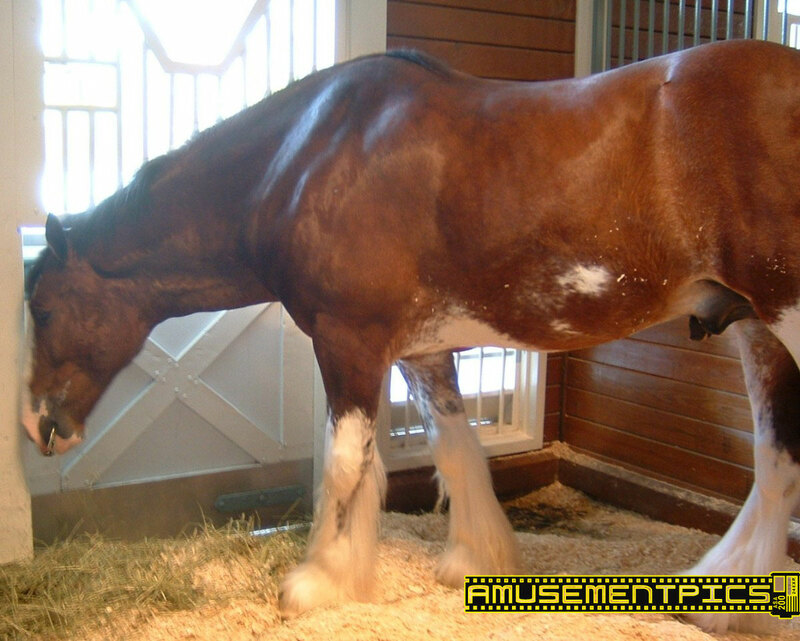 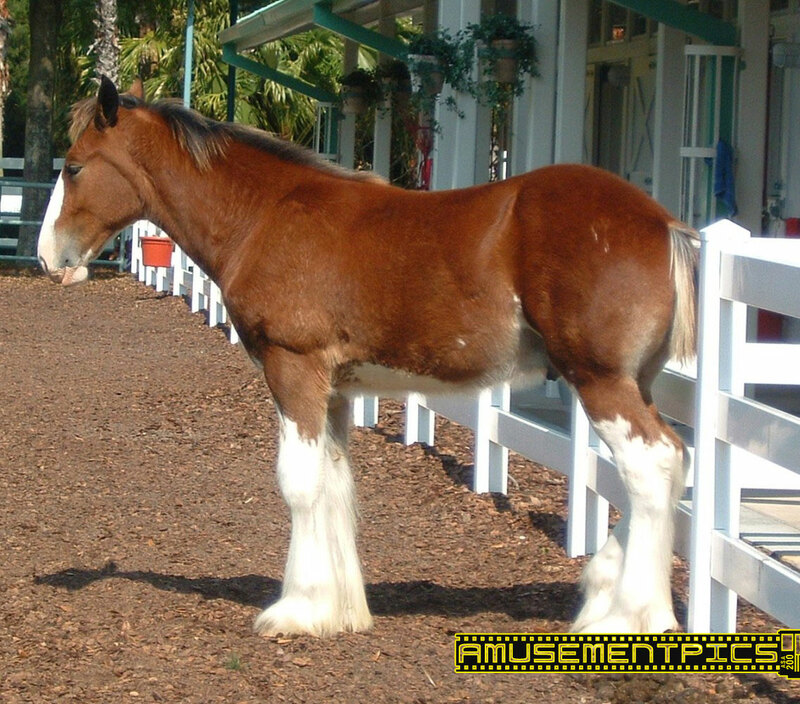 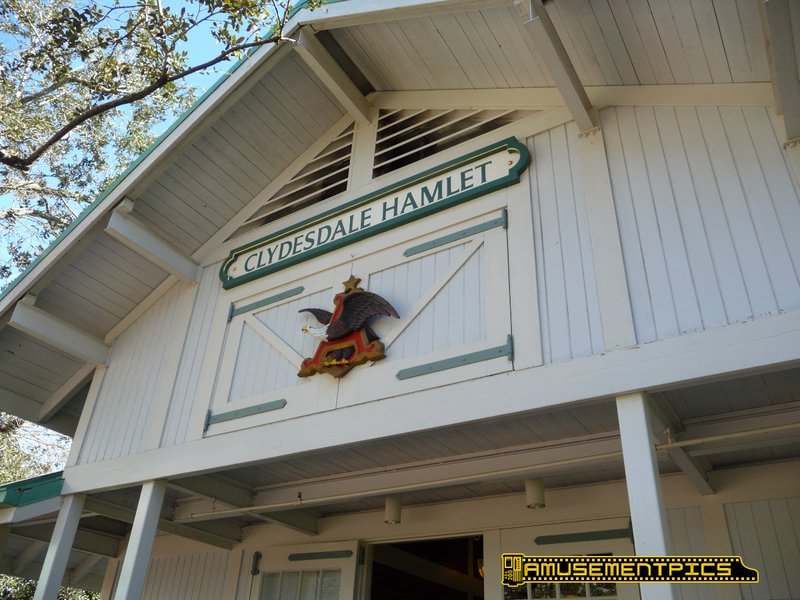 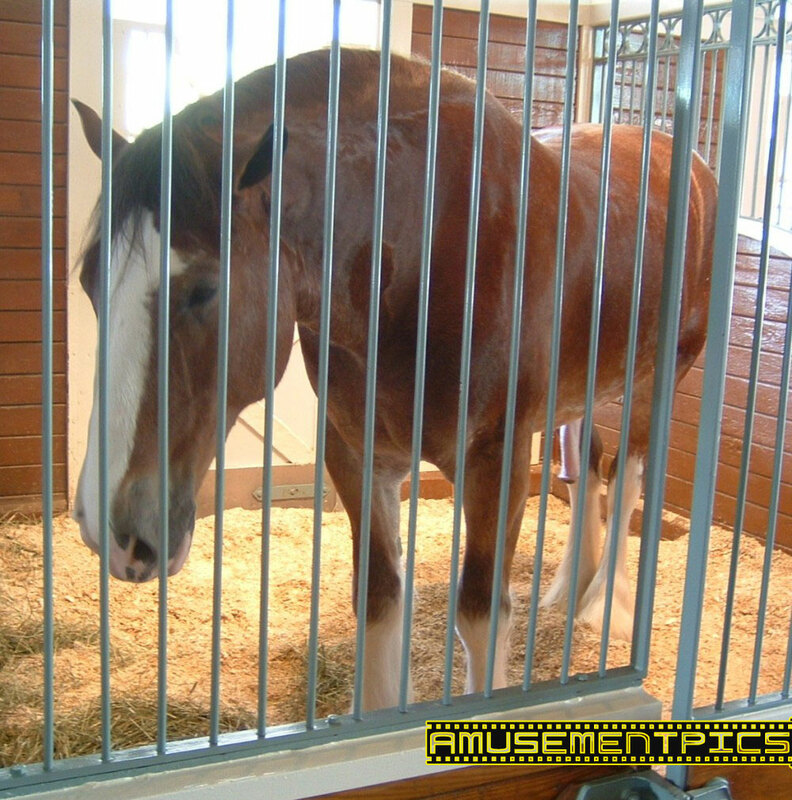 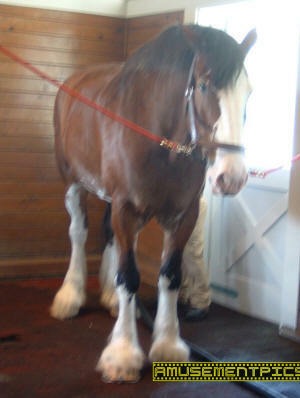 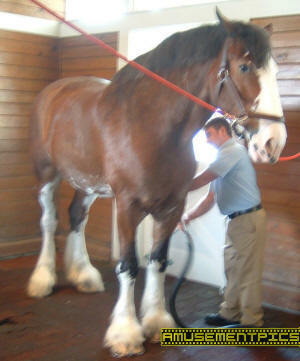 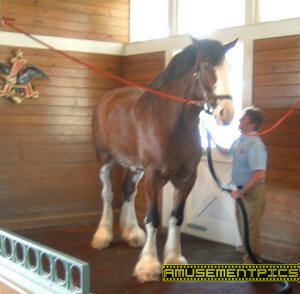 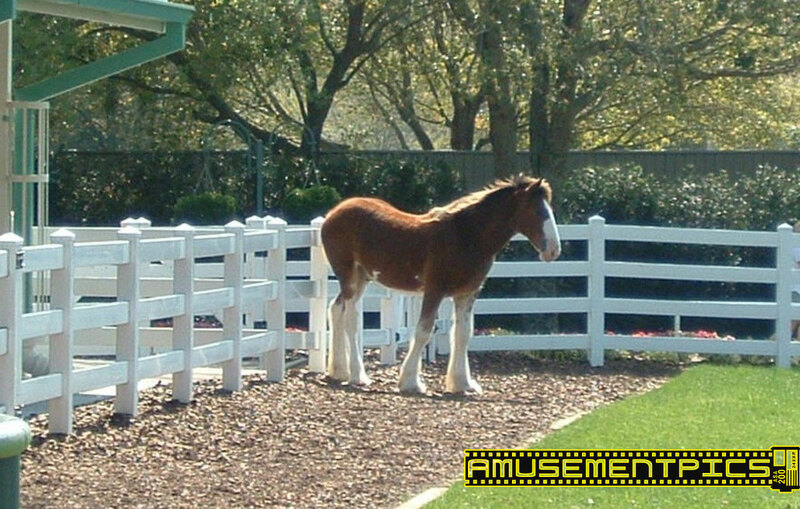 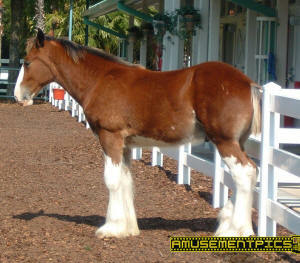 The Clydesdale Hamlet was home to the famous Budweiser Clydesdale Team which made appearances in the park and at special events throughout the area. 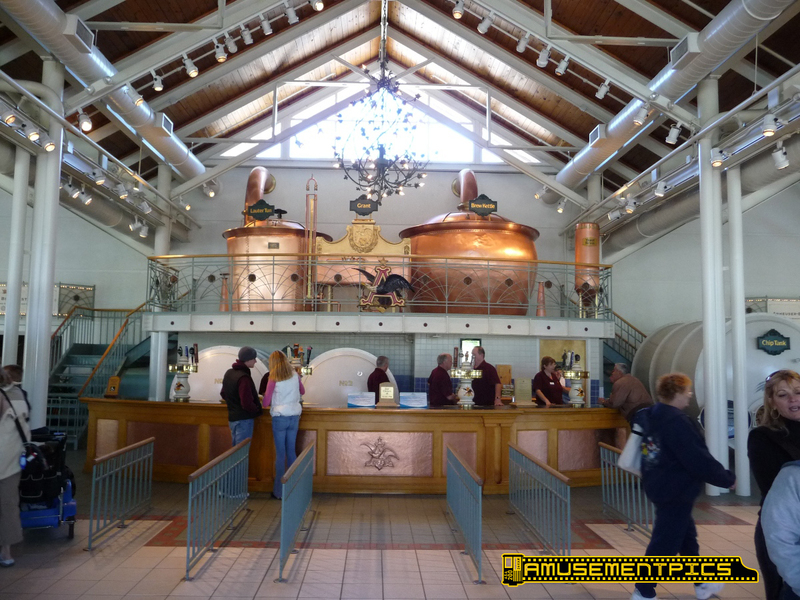 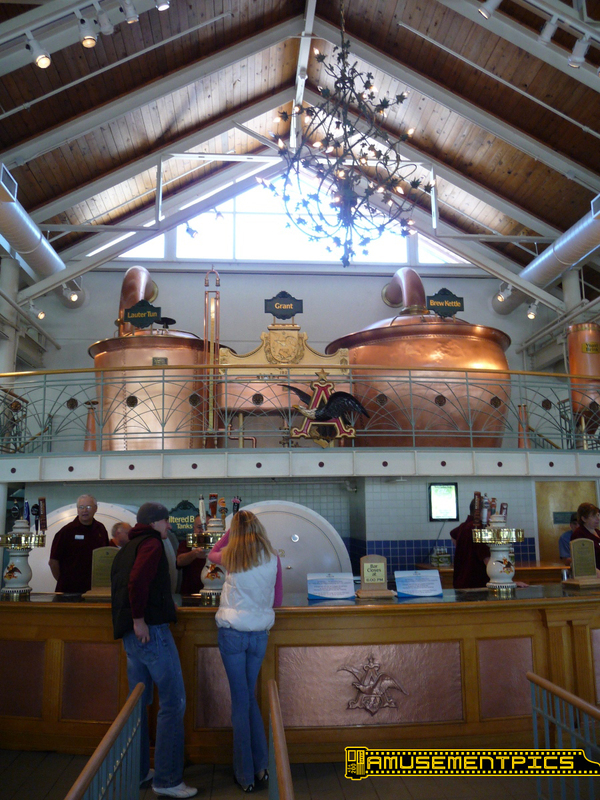 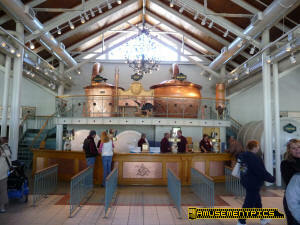 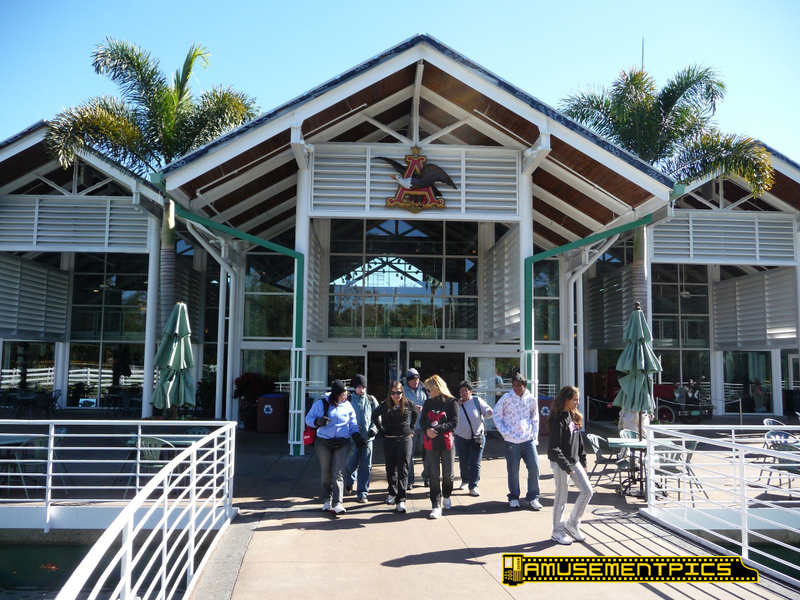 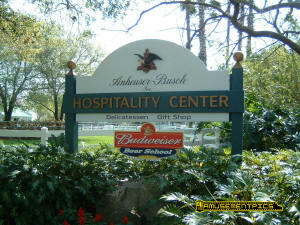 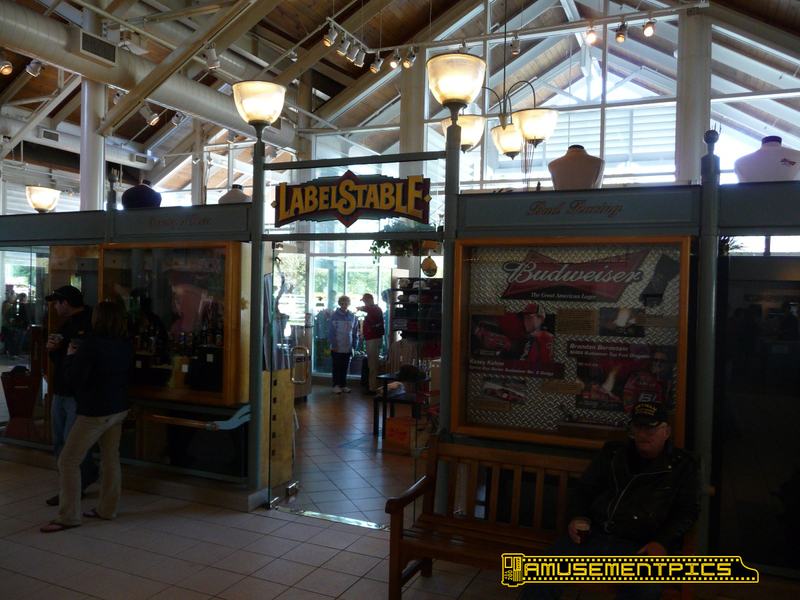 The Hospitality Center was the location for sampling of Anheuser Busch beer products as well as a restaurant and gift shop. 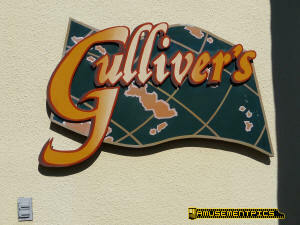 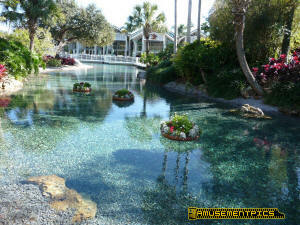 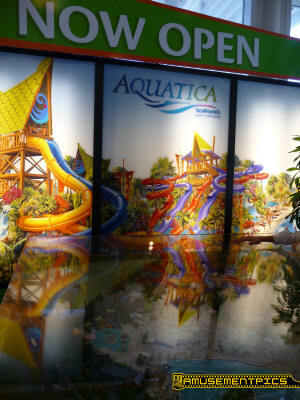 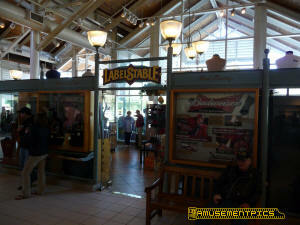 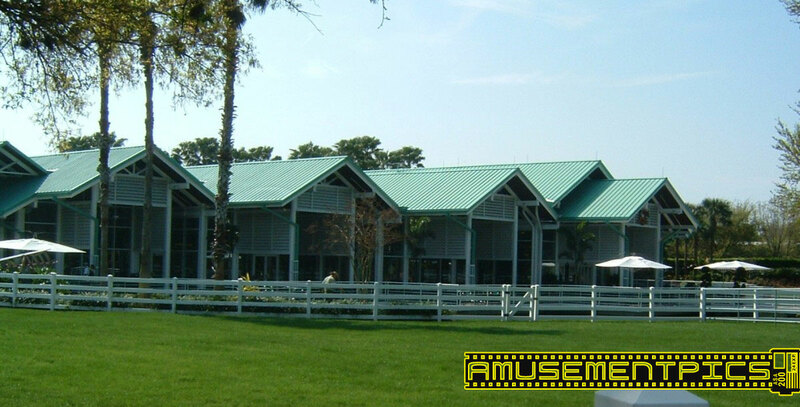 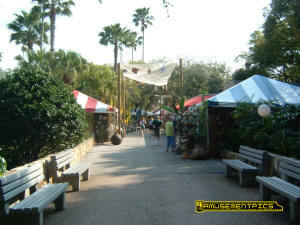 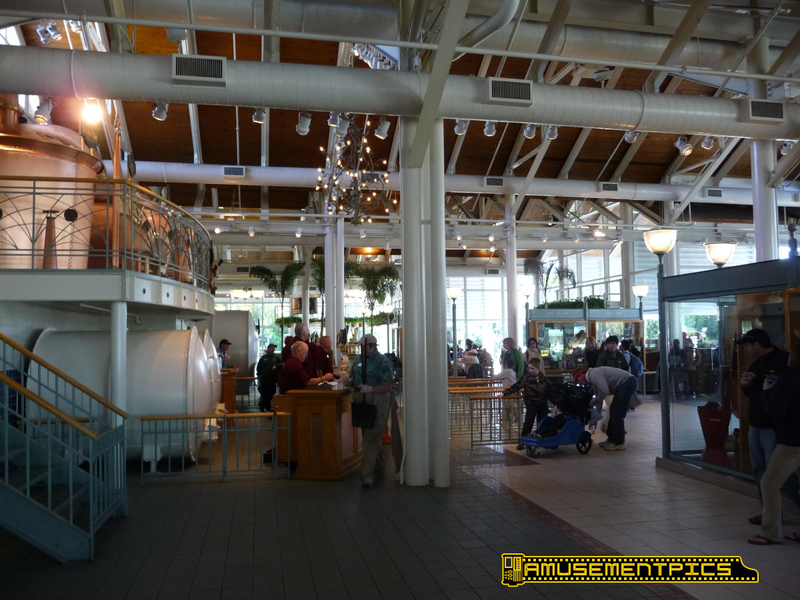 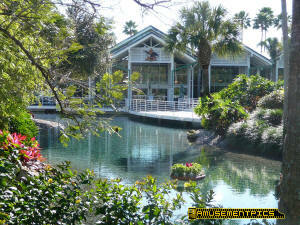 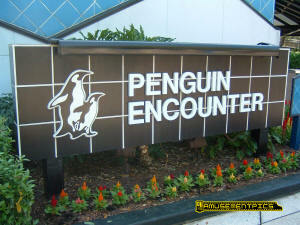 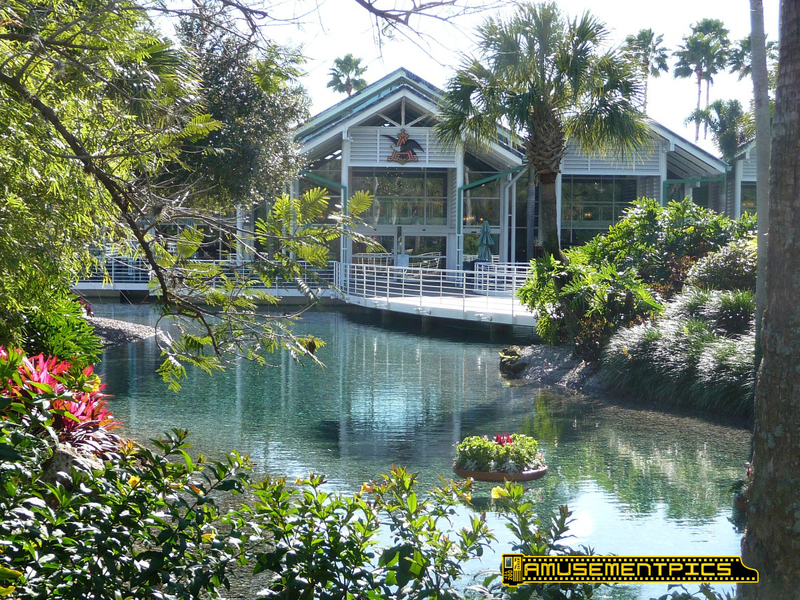 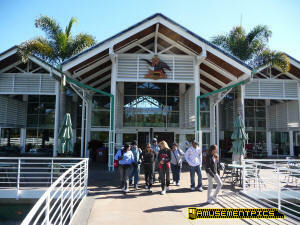 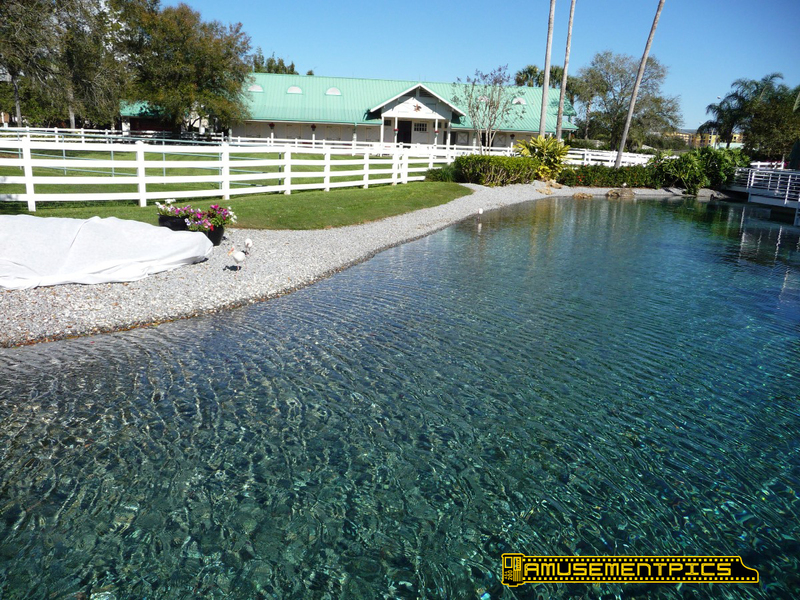 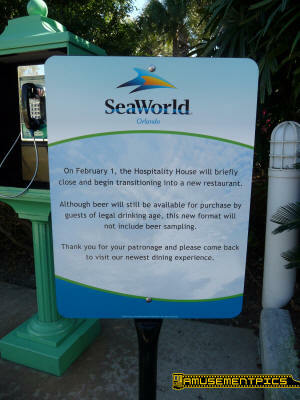 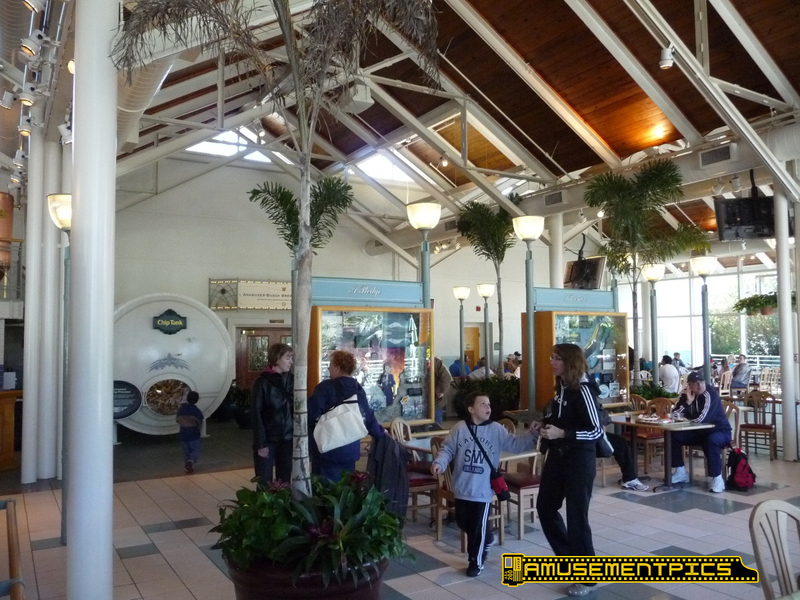 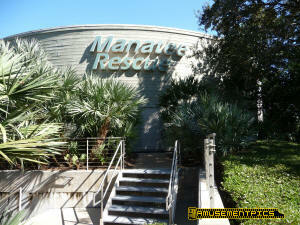 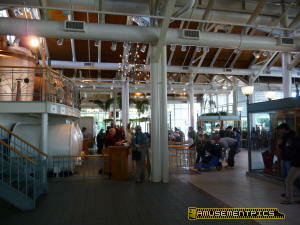 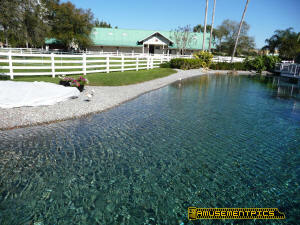 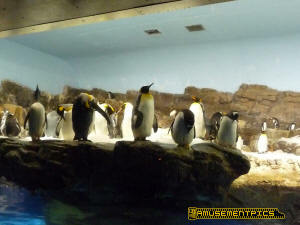 This was converted into a buffet when SeaWorld Parks and Entertainment was sold off. 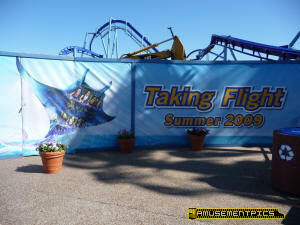 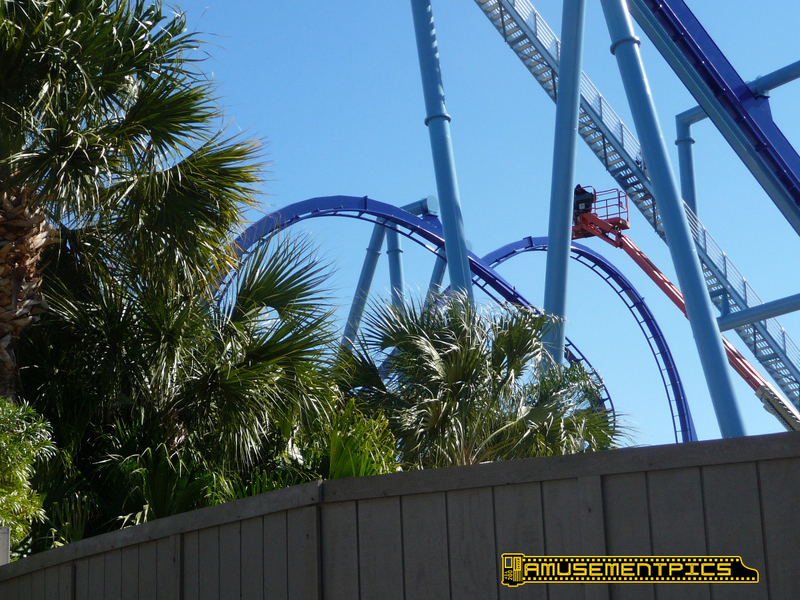 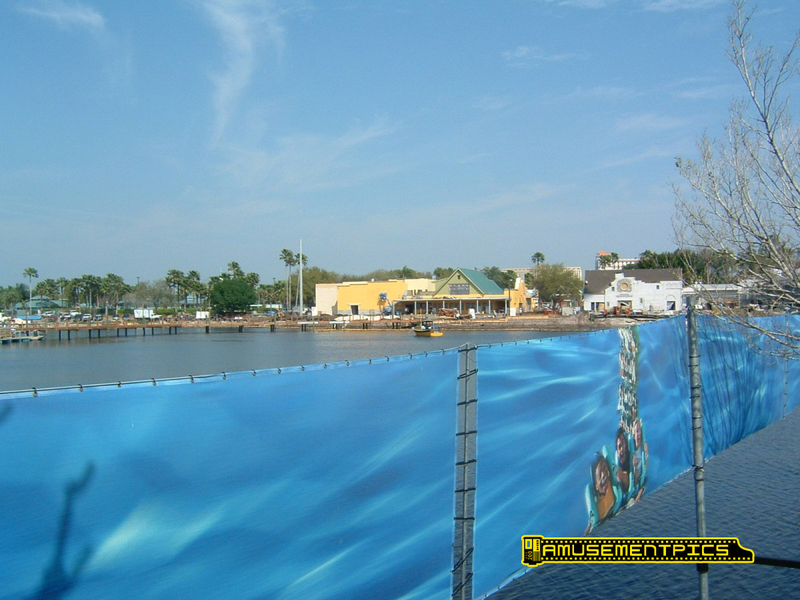 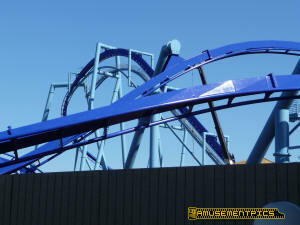 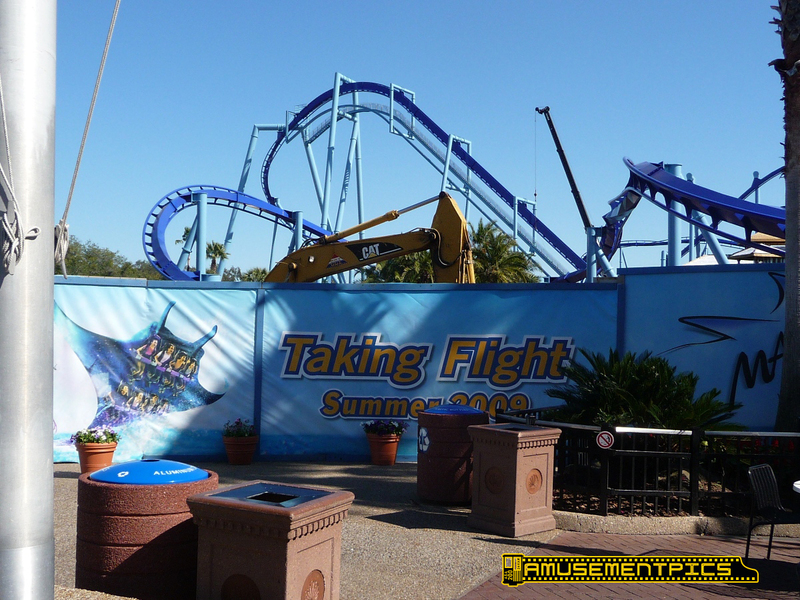 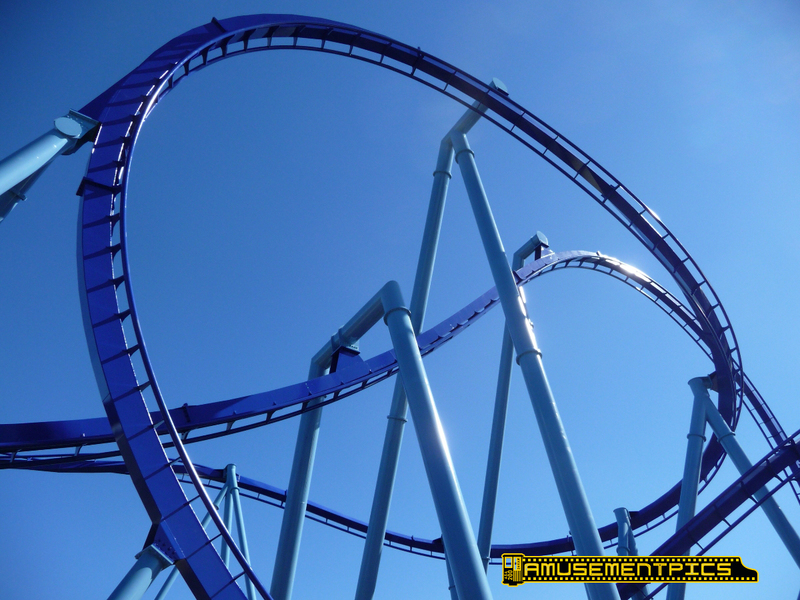 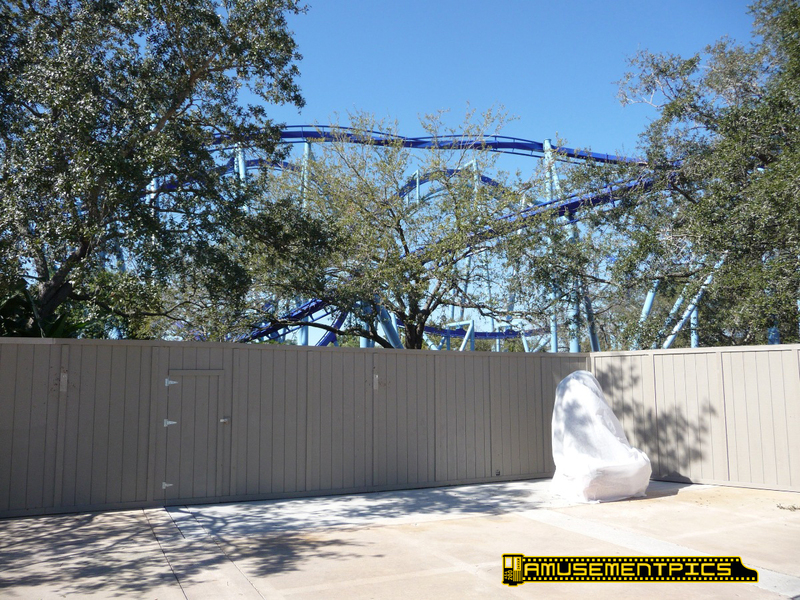 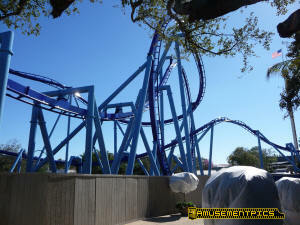 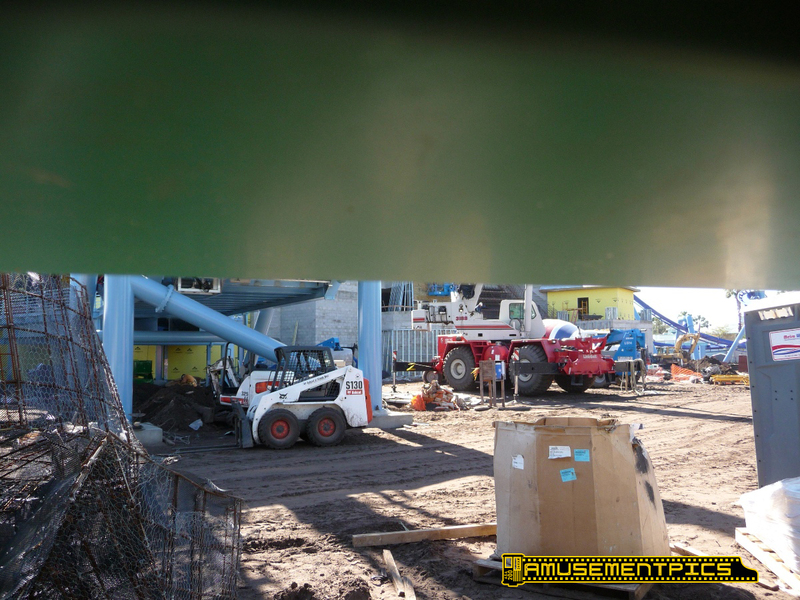 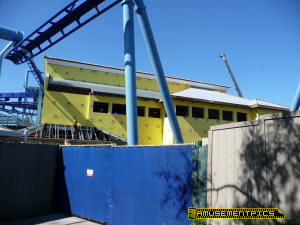 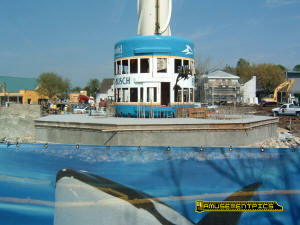 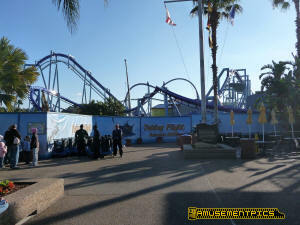 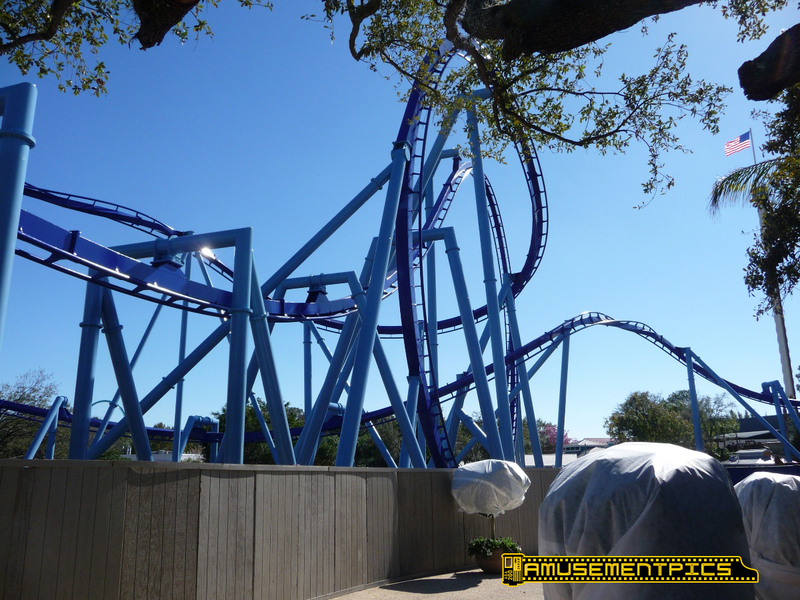 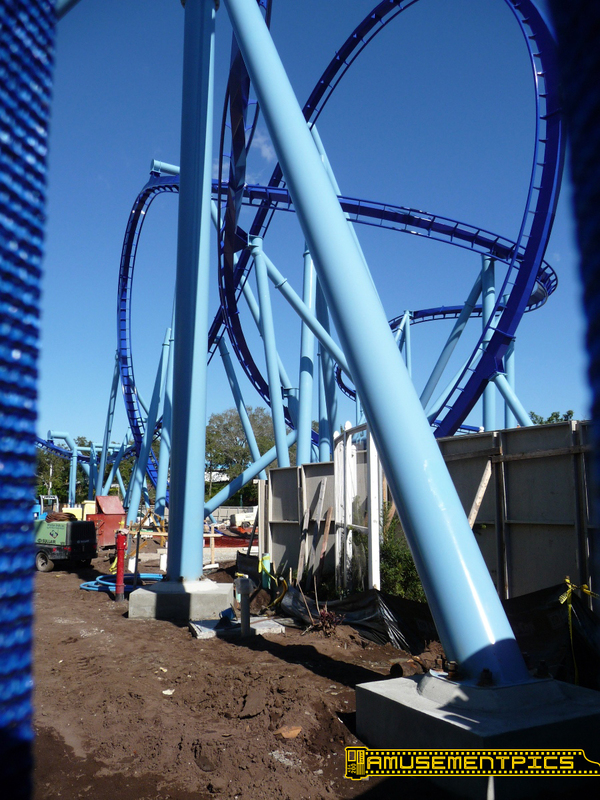 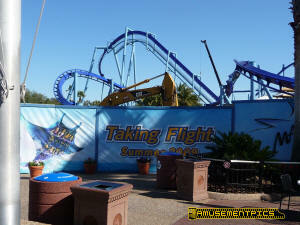 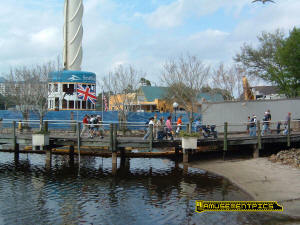 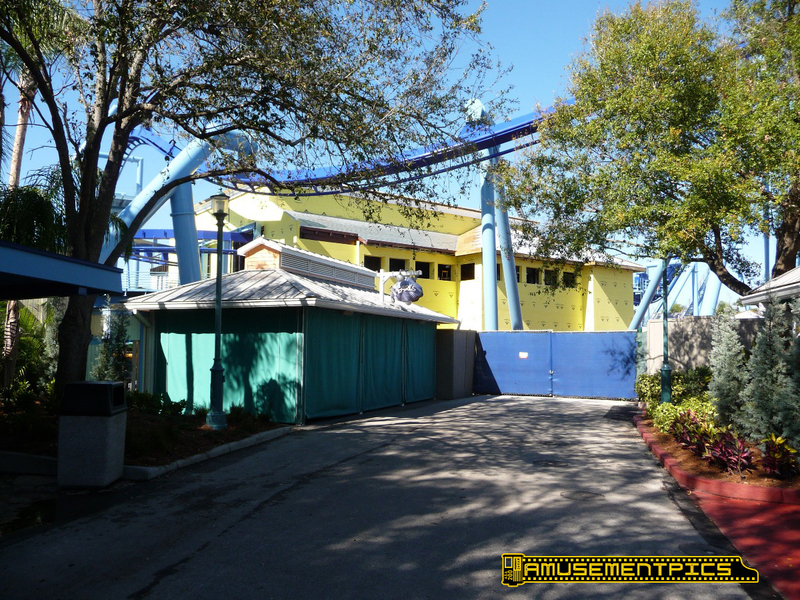 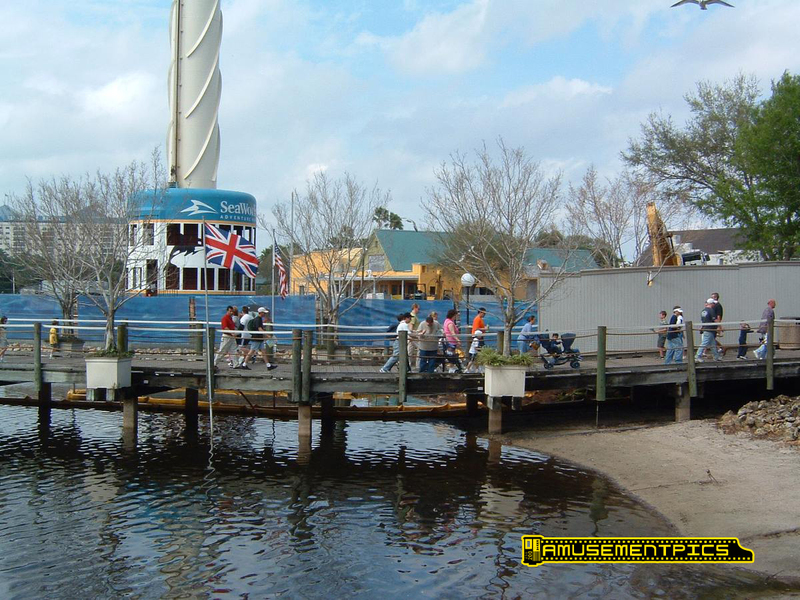 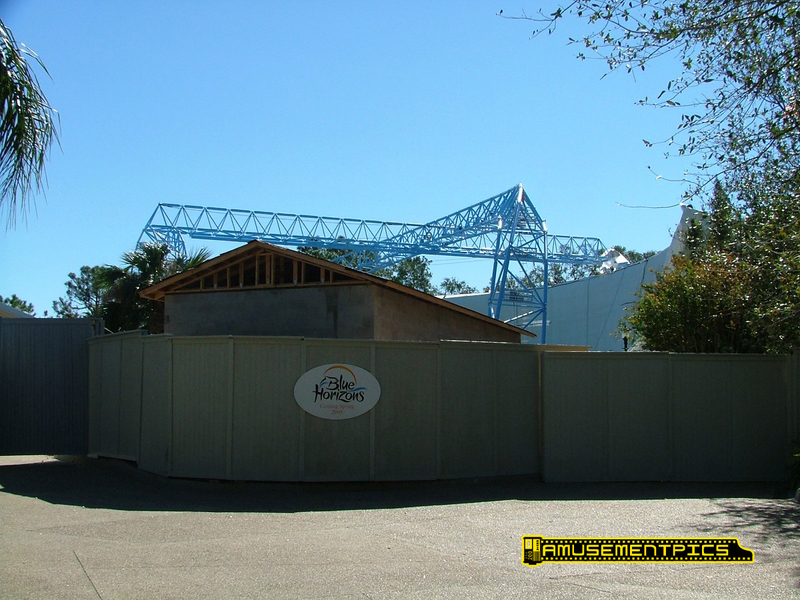 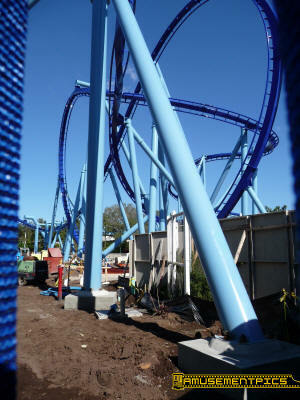 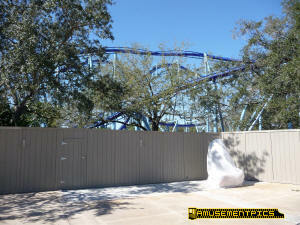 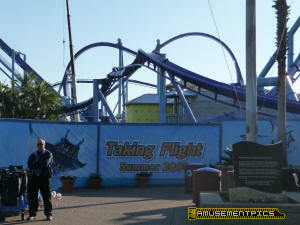 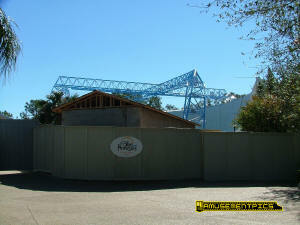 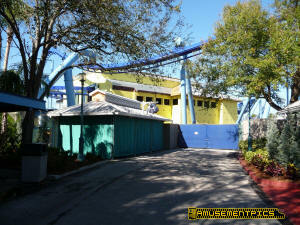 In 2008-2009 Manta was taking shape in the middle of the park, replacing the old Tropical Reef with its new aquarium integrated into the new coaster's queue area. 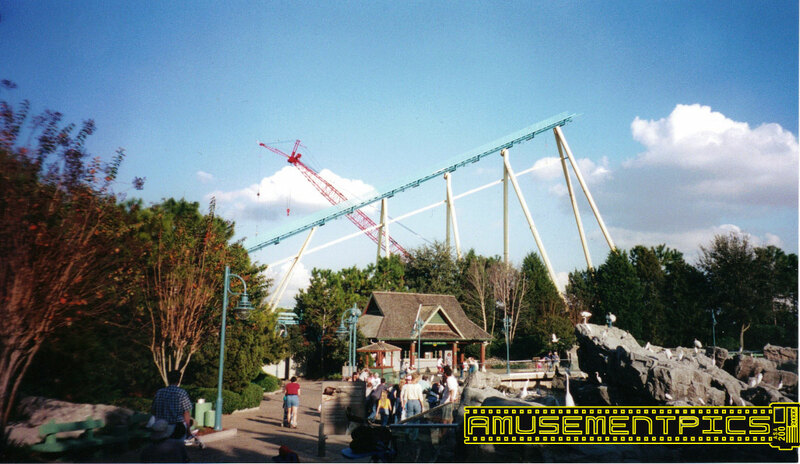 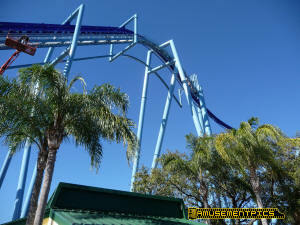 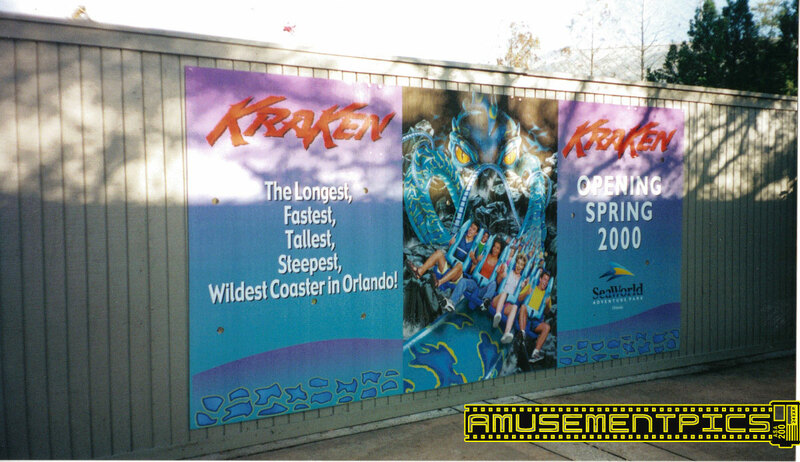 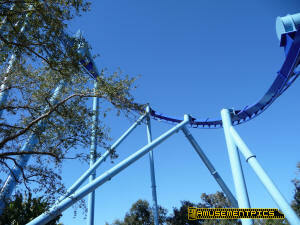 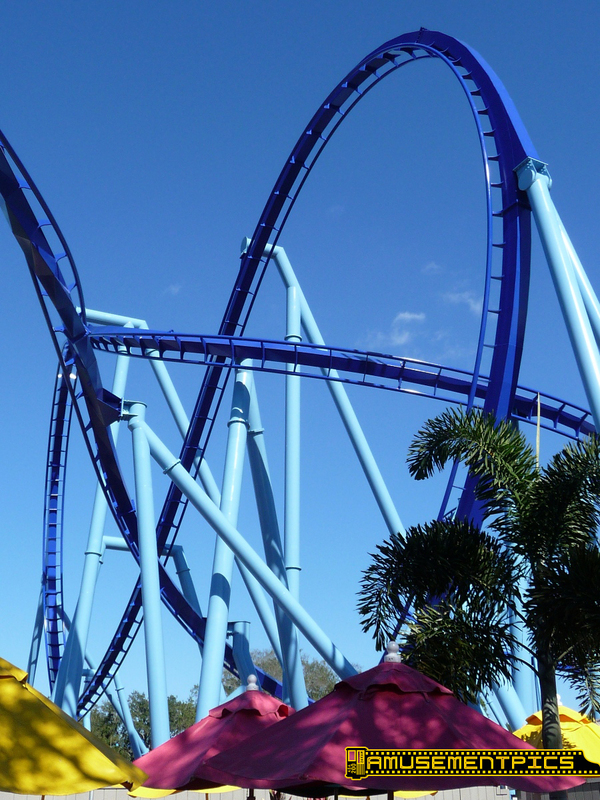 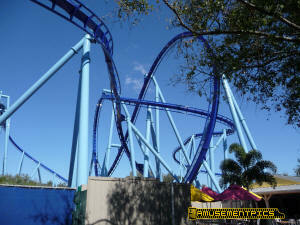 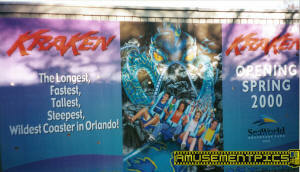 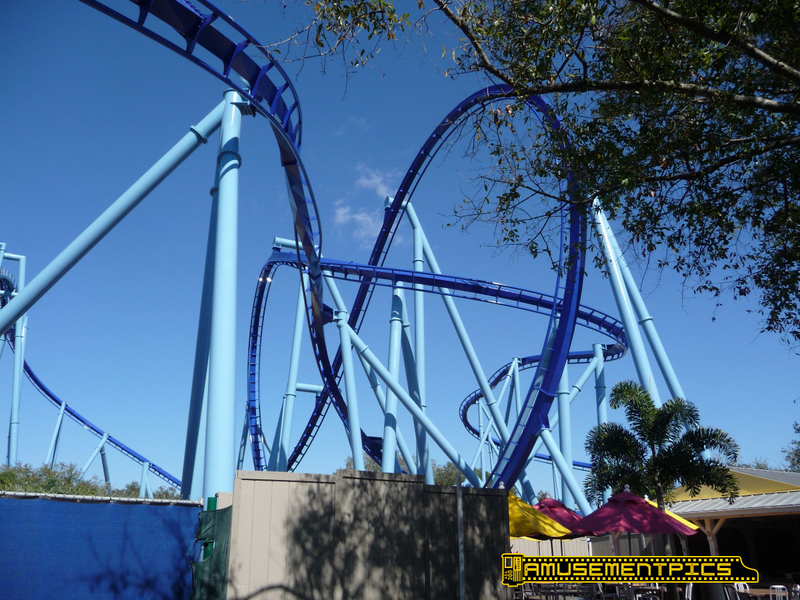 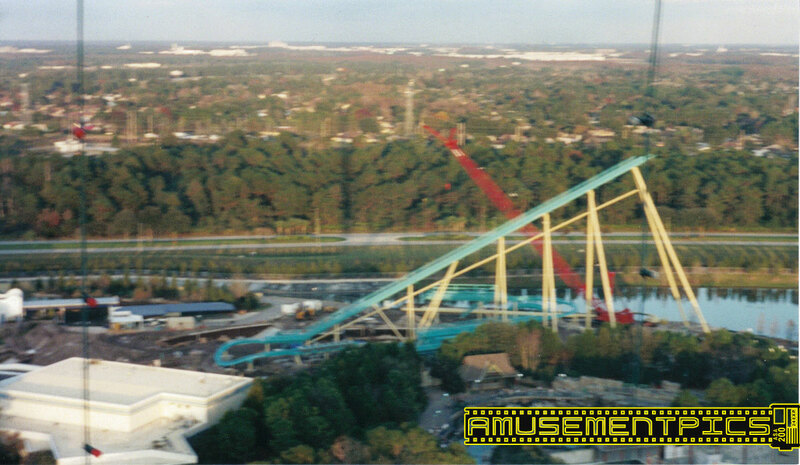 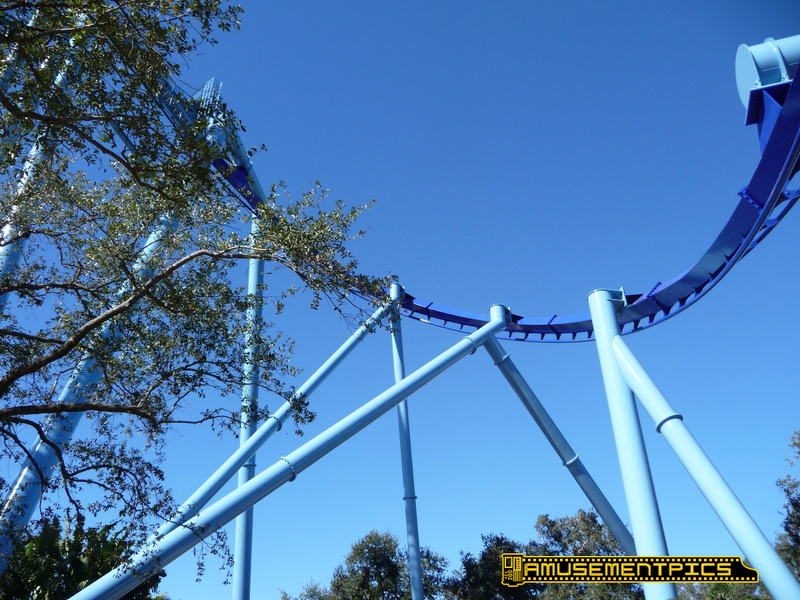 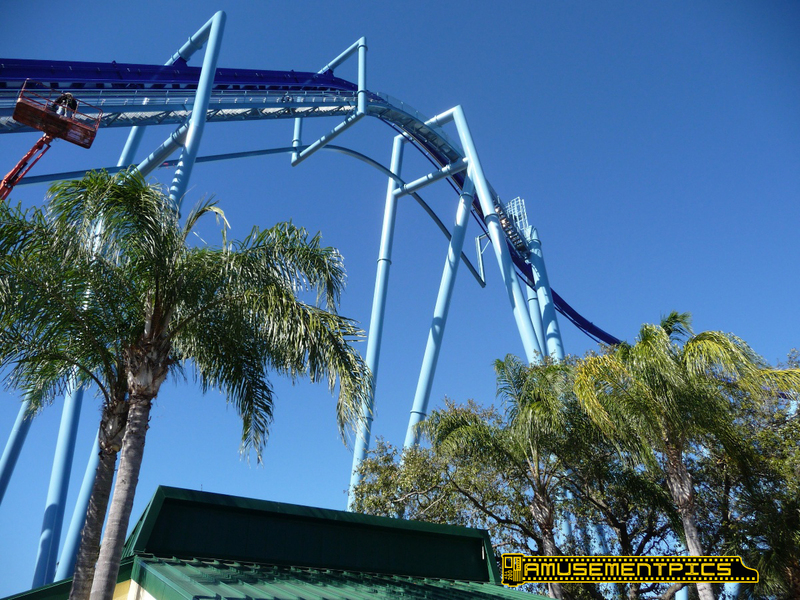 In fall of 1999 Kraken was rising up above the skyline as SeaWorld's first roller coaster. 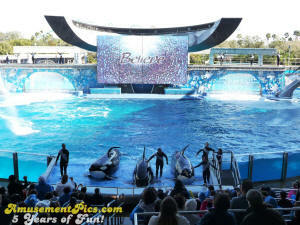 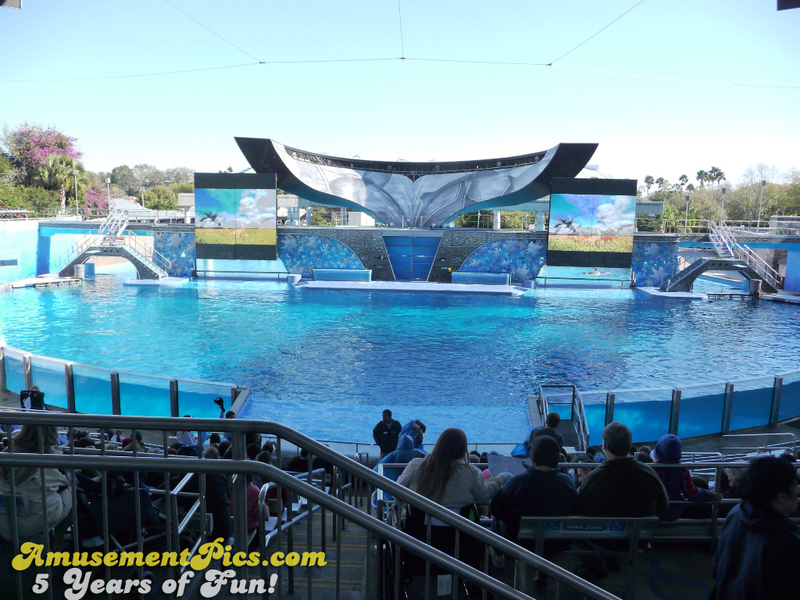 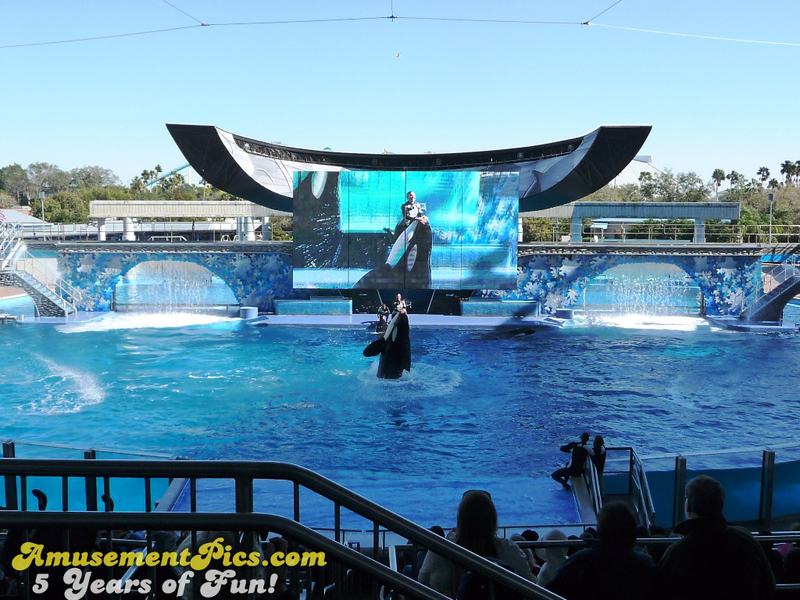 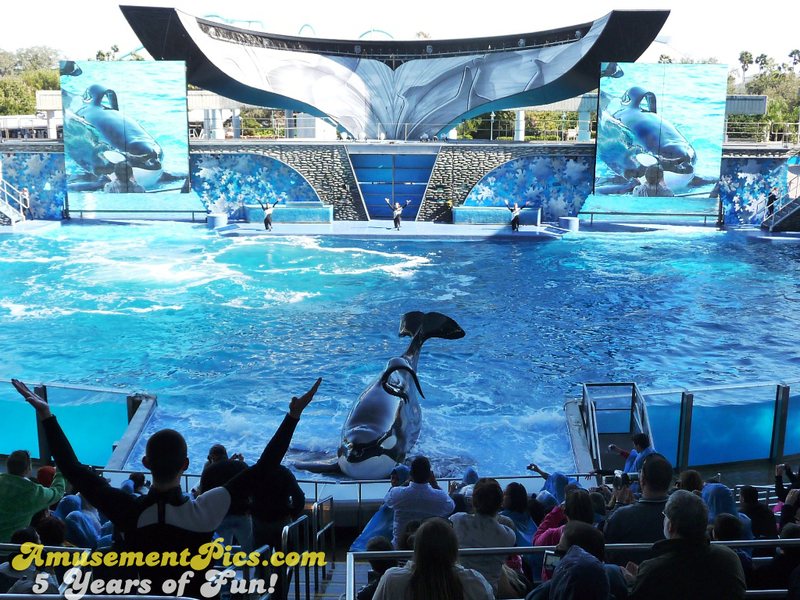 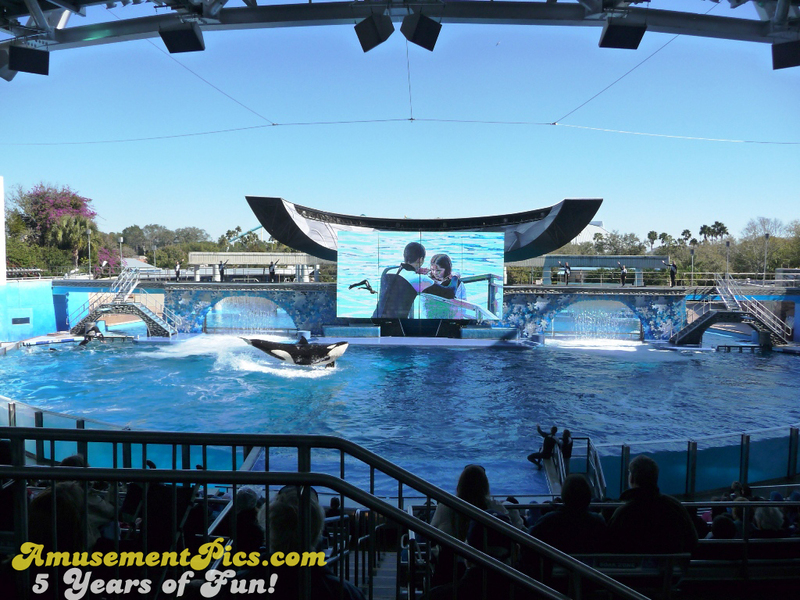 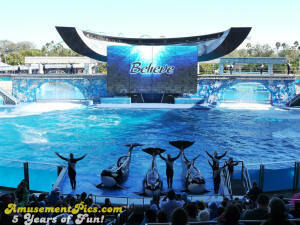 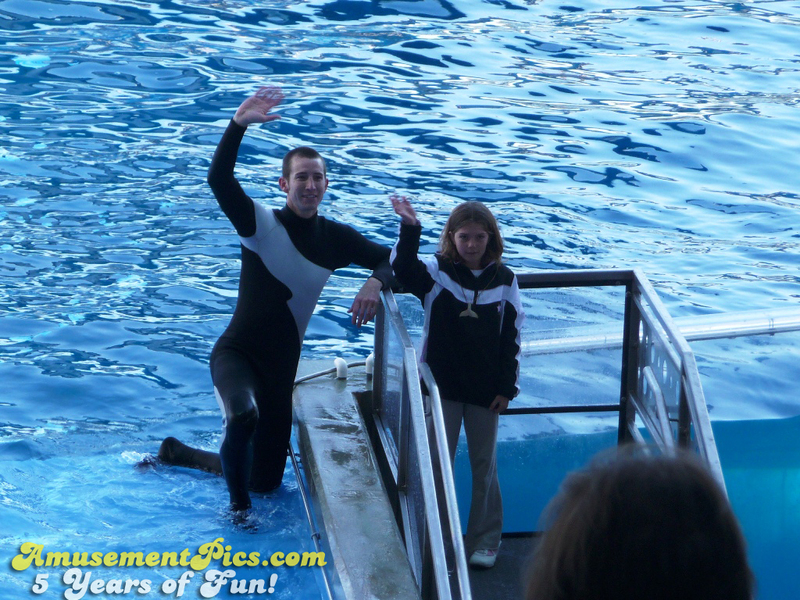 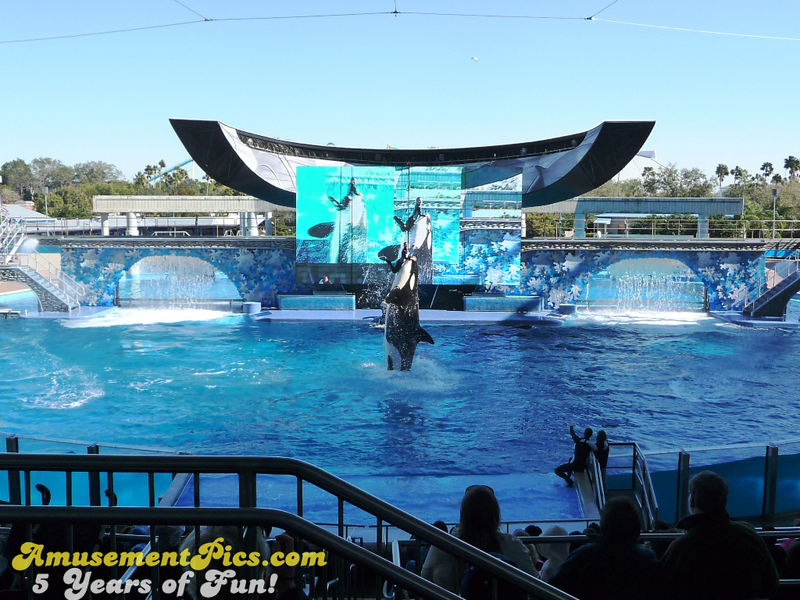 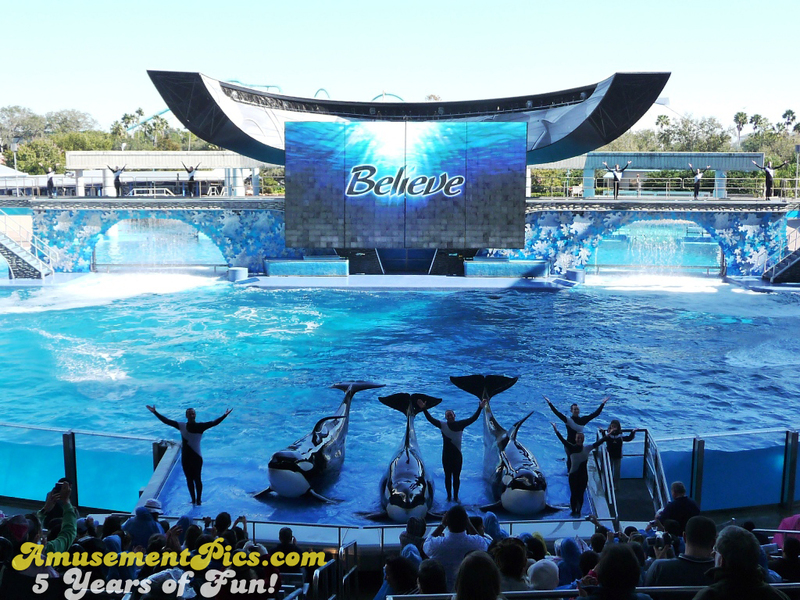 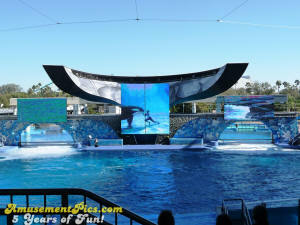 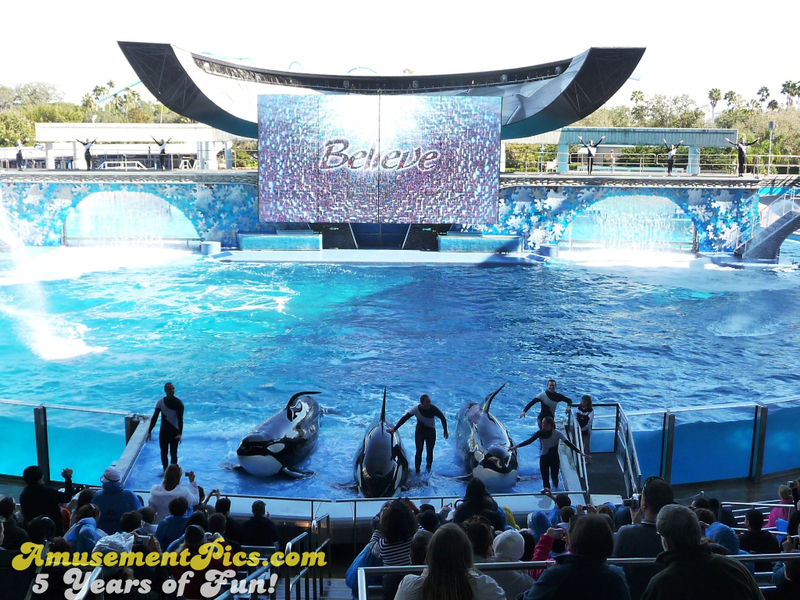 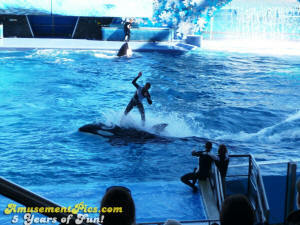 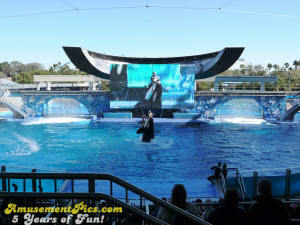 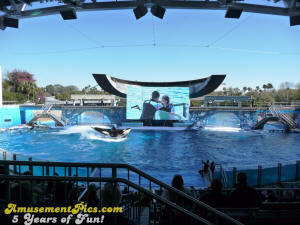 The long running Believe show was a favorite at Shamu Stadium. 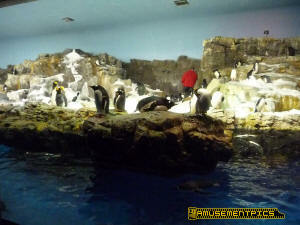 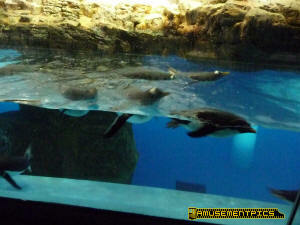 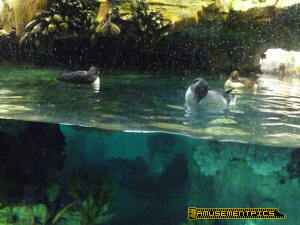 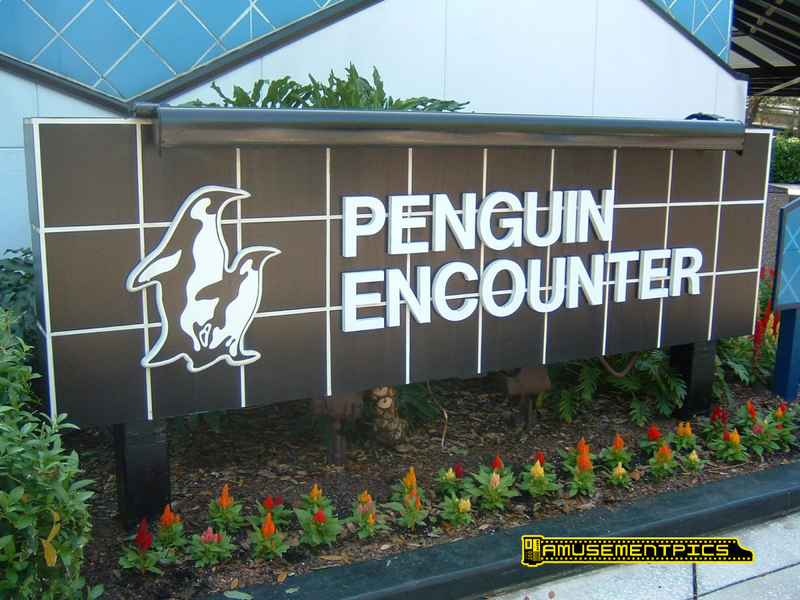 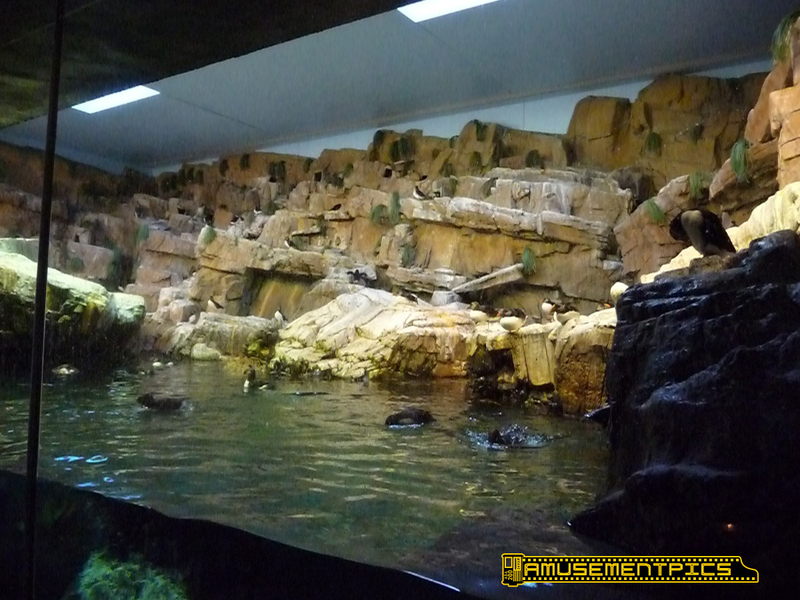 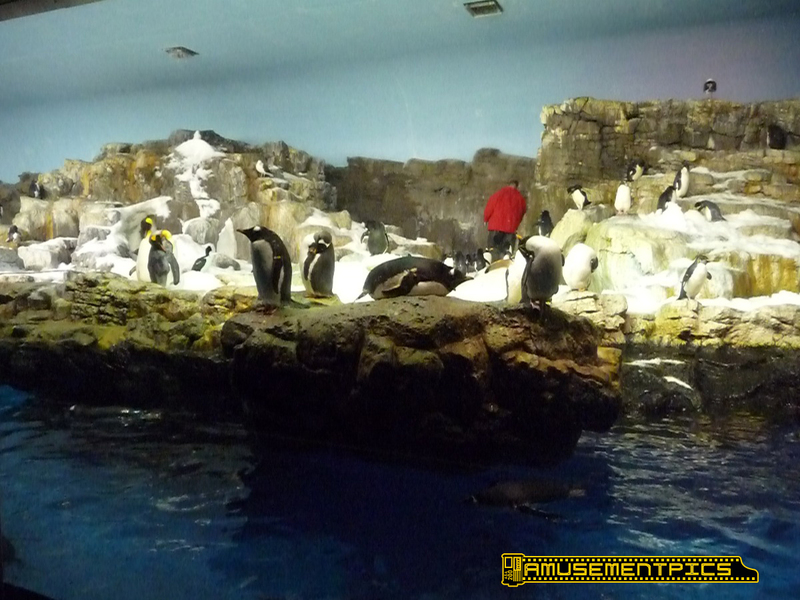 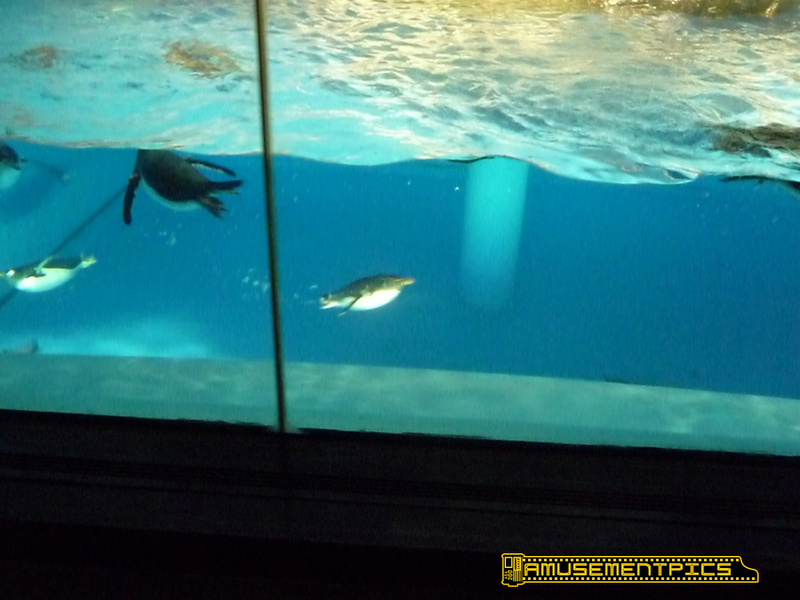 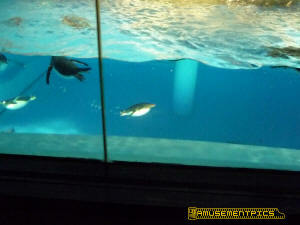 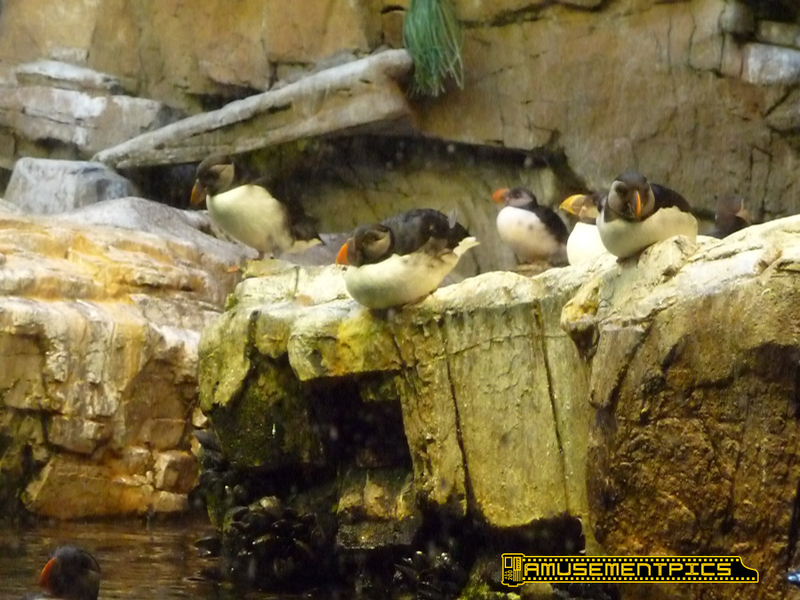 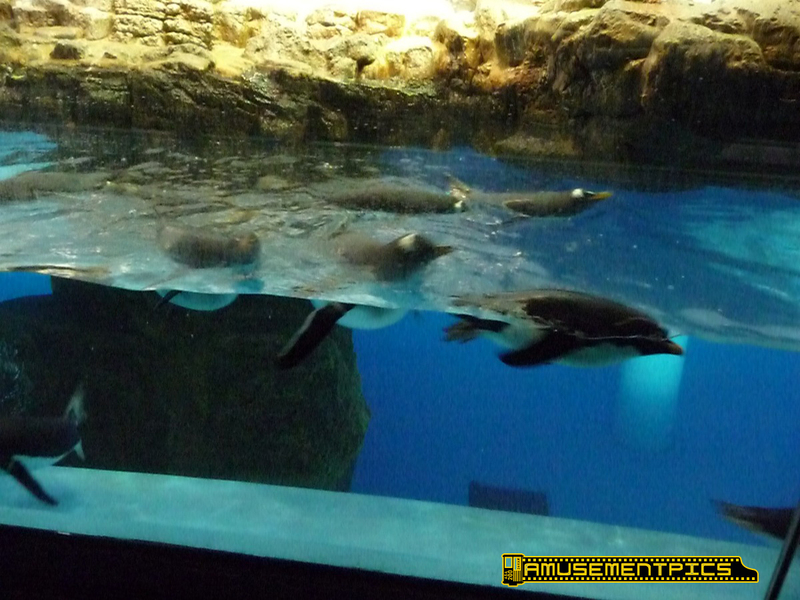 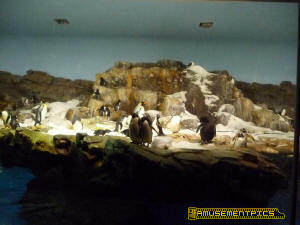 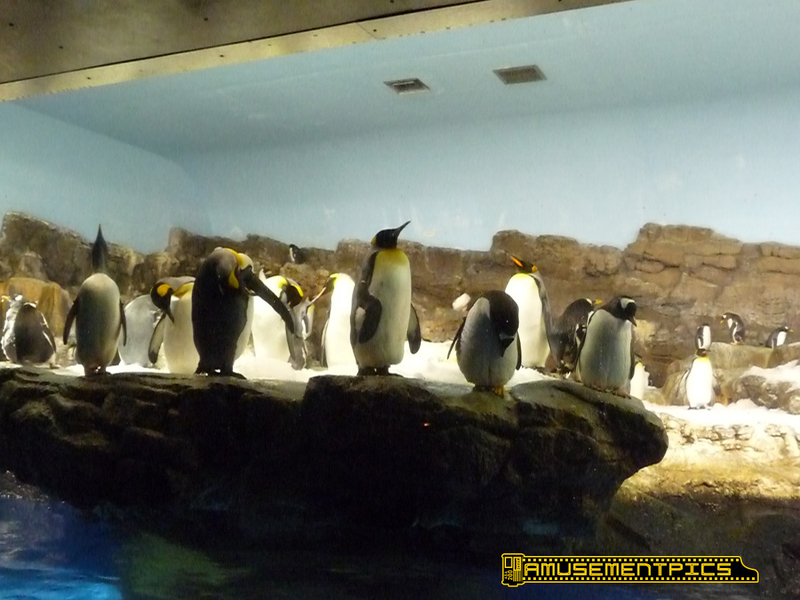 The Penguin Encounter, home to penguins and puffins closed in January 2012 as the area began transitioning into Antarctica for 2014.